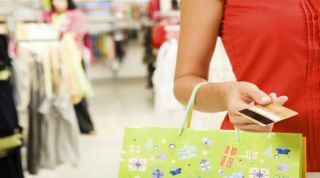 Retailers utilise data to personalise the customer experience. New research has revealed that 57 per cent of retailers are struggling to comply with the EU's upcoming General Data Protection Regulation (GDPR) which is set to go into effect next month. According to the point of sales marketing specialist, Ecrebo only 41 per cent of retailers are ready for GDPR based on its research conducted by Opinium which surveyed 101 UK retail decision-makers to better understand their views on the loyalty landscape, customer attitudes and the influence of external market factors. As personalisation has begun to play a key role in retail, a large majority of retailers (89%) said they use data to personalise the customer experience. However, retailers still experience challenges around implementing a personalisation strategy within their organisations with only a quarter of respondents saying that they have been successful in delivering personalised offers with technology and data cited as the main barriers. The report also revealed retailers desire to implement new technology with respondents noting how they would like to increase their use of mobile payments and implement augmented/virtual reality and artificial intelligence within the next 12 months.